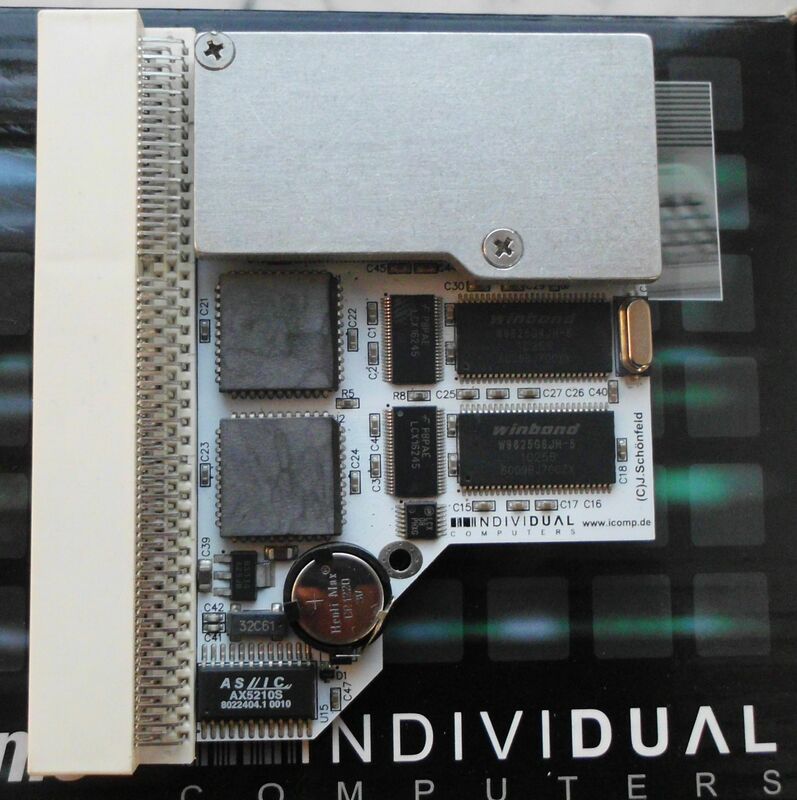 Amiga 1200 Accelerator Card w/ 68030 CPU incl. MMU. CAn be used with ACA-500 equipped Amiga 500. With its CPU clock speed of 42 MHz* and its on-board memory clock speed of 25 x 3.333 MHz (= 83.325 MHz! 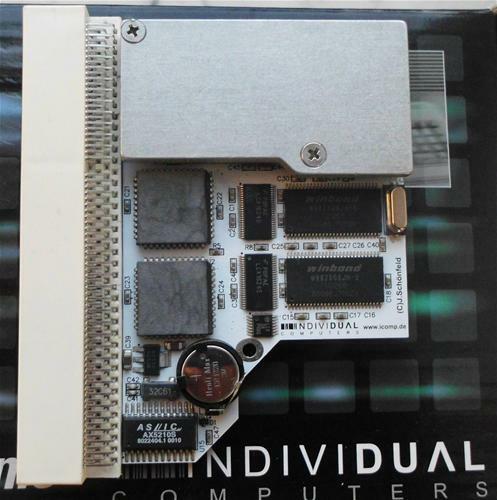 ), the ACA-1231 plays in the top league of 68030-based accelerator cards. 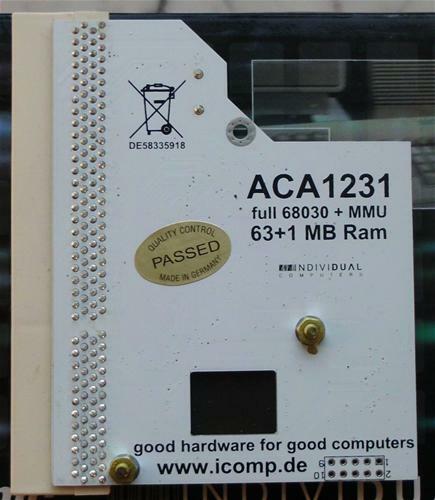 The ACA-1231/42 sports a fully featured 68030 processor, which also includes a functional MMU (Memory Management Unit). The MMU can not only be used to map a Kickstart ROM image to FastMem, it's also crucial for WHDLoad. The ACA-1231/42 is 100% compatible with WHDLoad! 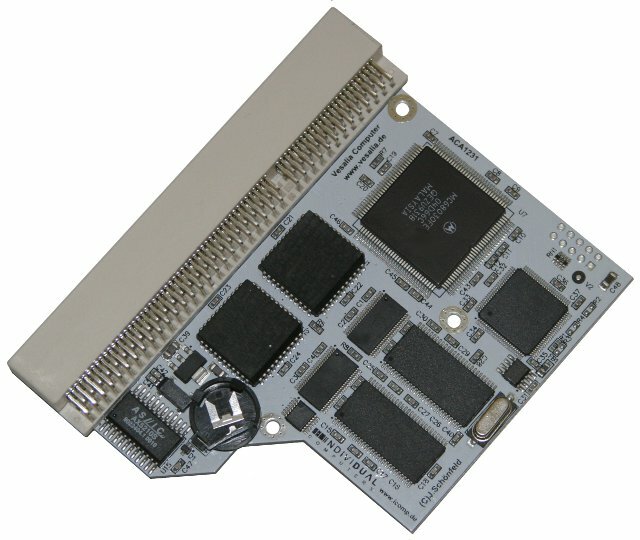 The MapROM function supports Kickstarts of 1 MB size. Page contributors: Andreas Kähler, Vesalia.de.